Is Selling A Blood Sport? We are within 100 days of the 2014 Olympics in Sochi, Russia. I can’t help but think that sports events are a good analogy for the profession of selling. I’ve been sitting watching some of the curling play-downs that will lead to the selection of the men’s and women’s curling teams that will represent Canada in Russia. It is very apparent that fitness is central to today’s professional curler. A conversation with one of the team’s coaches confirmed that the attention to fitness and nutrition is much greater today than previously. If you’ve curled, you know that beer drinking also plays a large role in the sport! 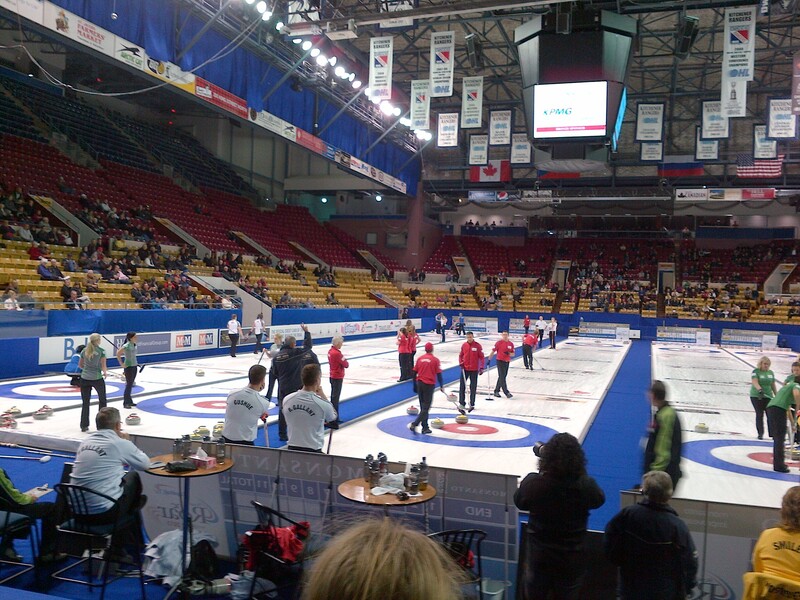 I’ve also been able to observe some of the practicing that marks the curlers’ preparation. My most significant observation has to be the accuracy with which these players are able to execute their shots. It is quite amazing. Obviously, much practice has gone into each player’s preparation. Are we approaching our selling efforts with the same type of preparation and dedication as the curlers? For those of us who are paid for our selling efforts, we could easily think of ourselves as sales professionals. But, do we approach our selling in a manner that befits a professional? Our selling skills might have been learned a long time ago. Or, perhaps we were thrown into sales with the ‘sink or swim’ approach. That is, with no formal training whatsoever. Regardless of our previous preparation, what are we doing as sales professionals to maintain our ‘A’ game? After all, this is the occupation that we have chosen in which to make a significant investment for our future. No one forced us to be in sales. It is a choice that we made for ourselves. However, are we proactively engaged in improving our selling skills and knowledge? Are we preparing for the next big game? Do we further our understanding by observing others, refreshing our formal training or simply reading about the subject? We may not think about selling as a blood sport, but the reality is that we sell our products and services against competitors. If our ‘team’ cannot succeed against the competition, then we know which team isn’t going to the ‘Olympics’. In other words, failure in the marketplace for our company will likely lead to red ink on the P&L statement. It is also incumbent upon us to maintain our personal performance at the highest level. Failure to do this could find someone else shooting lead rocks, while we become the spectators. We should all commit to making annual investments in ourselves that will keep us in the game.